Why give the “Daddy” in your life an average tie for Father’s Day this year? Here’s an exceptional—and easy—craft and gift idea. If your guy is anything like mine, he’s always asking you to hold things in your handbag. Especially when he’s dressed up. A bulky wallet in dress pants is an eyesore. So, this year, I decided to make my sweetie a storage pocket in the back of his tie for credit cards, business cards, money and the like! Kind of like wallet he can wear. …and I used a piece of leftover material from my big bag o’ scraps. 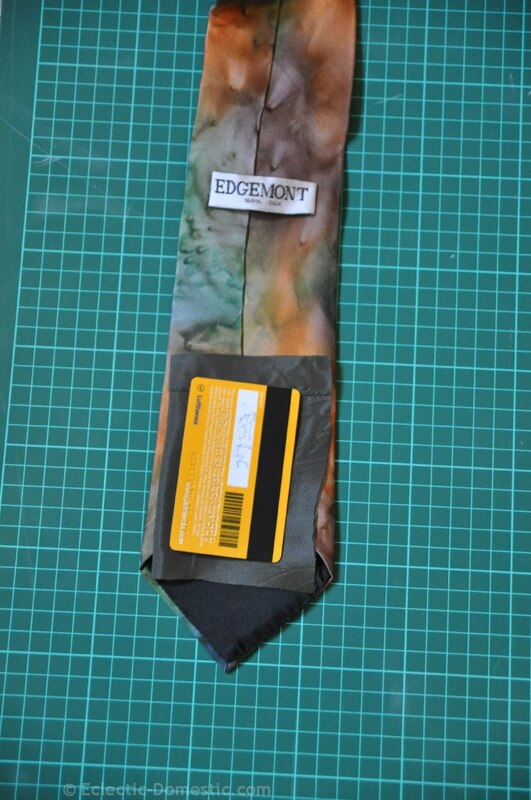 Note to hubby: This is a prototype of the hidden pocket necktie. This is only a prototype. If this had been the actual necktie, there would be no a surprise on Father’s Day. Step 1. Find a scrap of material slightly bigger than double the size of your credit card/business cards/ID card. Fold the material in half. 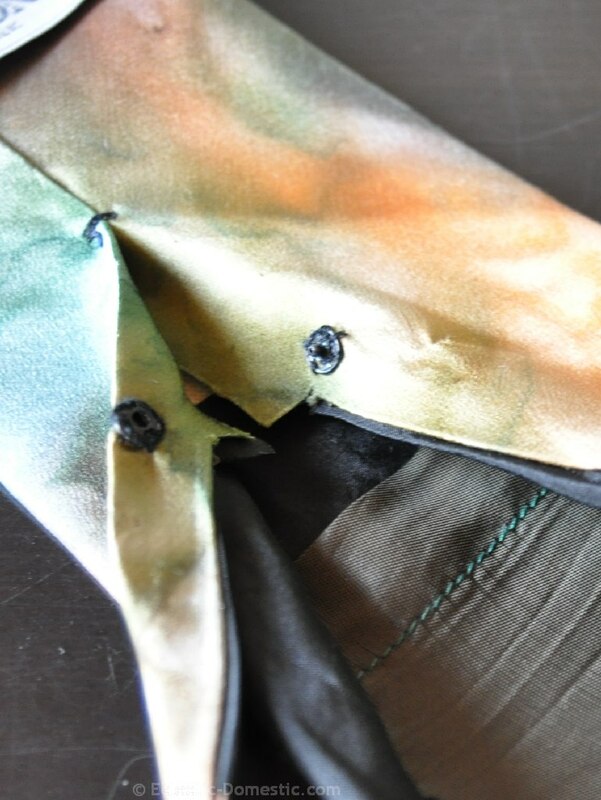 Trim the material to fit within the inside of your tie. Be sure to leave enough seam allowance (ca. 1 cm or 1/4 inch) on all sides. Step 2. 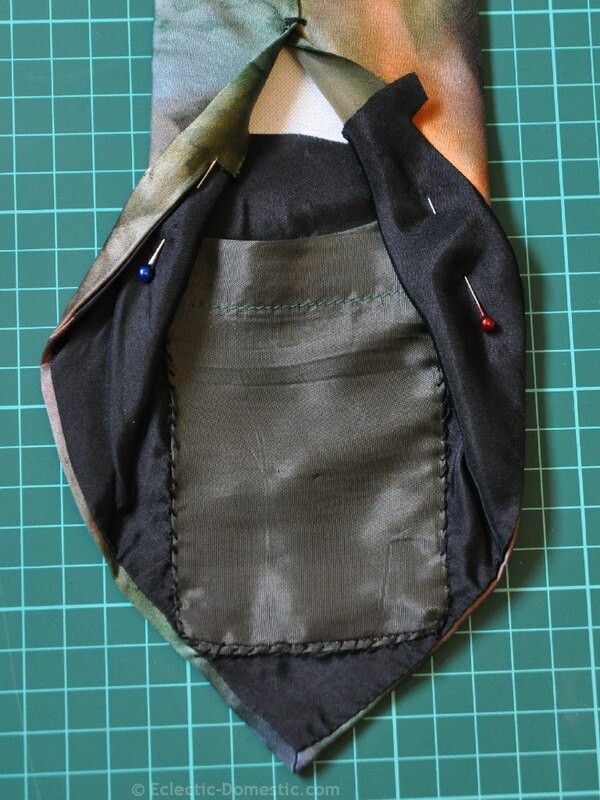 Seam the material to make a pocket shape, leaving it open on one side. As you can see, here, I used the original seam (on the left side of the picture) from the scrap material as the top, or opening, of the pocket. If you don’t have a scrap with an original seam, you will need to sew the seam(s) for the top sides of the pocket individually. I took advantage of the seam that was already there to create my pocket. Step 3. 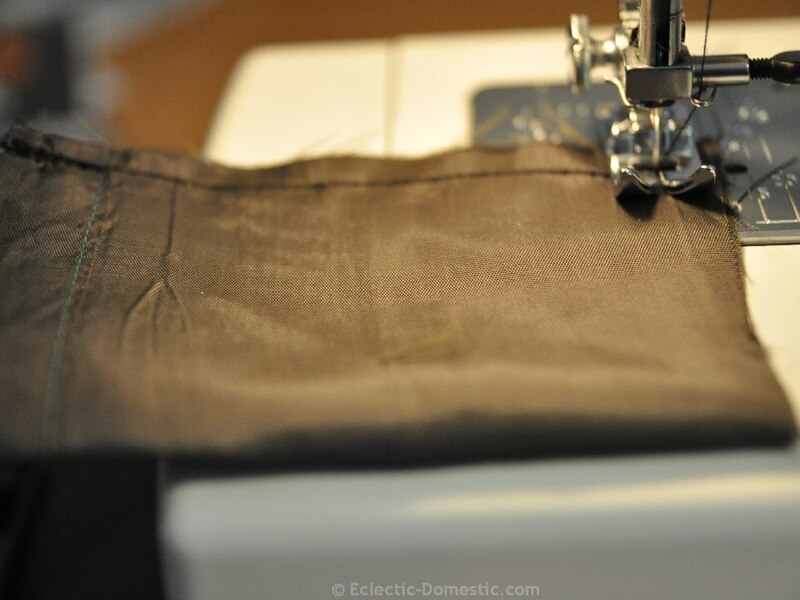 Using a seam ripper or fine scissors, carefully open part of the back seam of the tie. Hand sew the pocket into the inside of your tie. 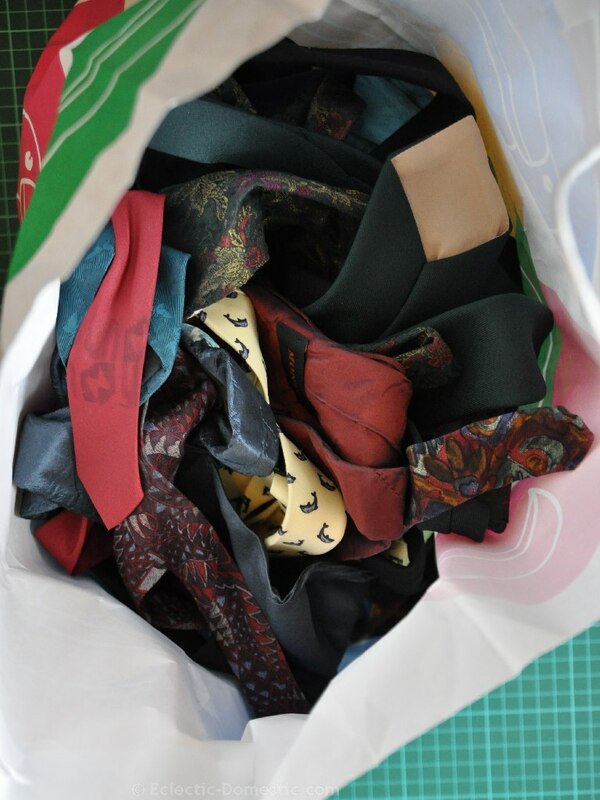 Note: Most ties are made with a stiff core fabric on the inside to hold the shape. You can see this core fabric on the photo below (white). The core is covered by the lining fabric (black). When sewing your pocket onto the tie, make sure you sew through to the core (for stability), but not through the front side of the tie (so the stitches don’t show through). Sew the pocket to the core of the tie (white), but make sure not to go all the way through to the front fabric. Step 4. Stabilize the back seam of the tie with a few stitches at the top of the opening. If you want to, you can attach a snap closure to the back of the tie. Voila! Attach a snap fastener, if you wish, to keep it all in place. The project takes very little time, and mine actually cost me nothing. It’s also a great way to add value to the ties your guy already has in his closet. What is the cost for this item? And then there’s postal mail.